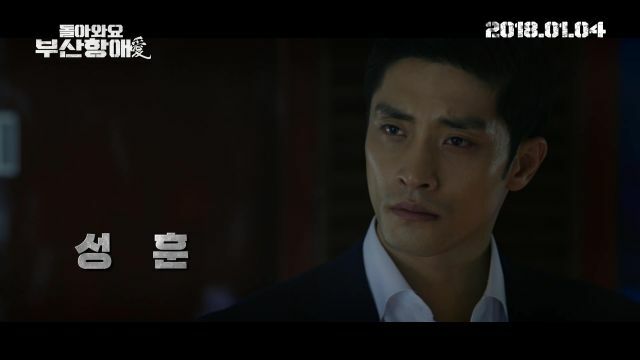 [Photos + Video] Brothers Ripped Apart Struggle When They Meet Again in "Brothers in Heaven"
The main trailer for "Brothers in Heaven" is just as heartbreaking as its synopsis. Steeped in violence, mistrust, and anguished love, the two brothers on the opposite sides of the law will have more than a hard time trying to reconcile the years they've been apart and the differences between them, at least according to the trailer with the gripping music and faced-paced cuts. Formerly known as "Come Back to Pusan Port"
Twin brothers separated at birth grow up on opposite sides of the law. Tae-joo is a detective while Tae-sung is high in the ranks of a crime organization. Twenty years after they were separated, they meet again. [Photos] New Poster and Behind-the-Scenes Photos for "Bittersweet Brew"
[Photos] Added new Jung Woo-sung stills for the upcoming Korean movie "Steel Rain"